Enjoying a Suncoast pale ale at Coastal Cookery. Wayne and I are what you might call soulmates. 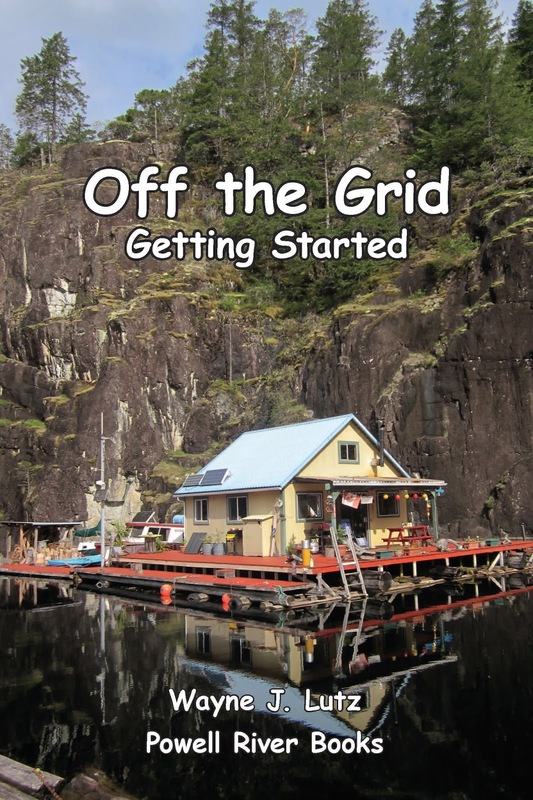 We spend almost all of our time together, or at least near each other, up at our off-the-grid float cabin home on Powell Lake. 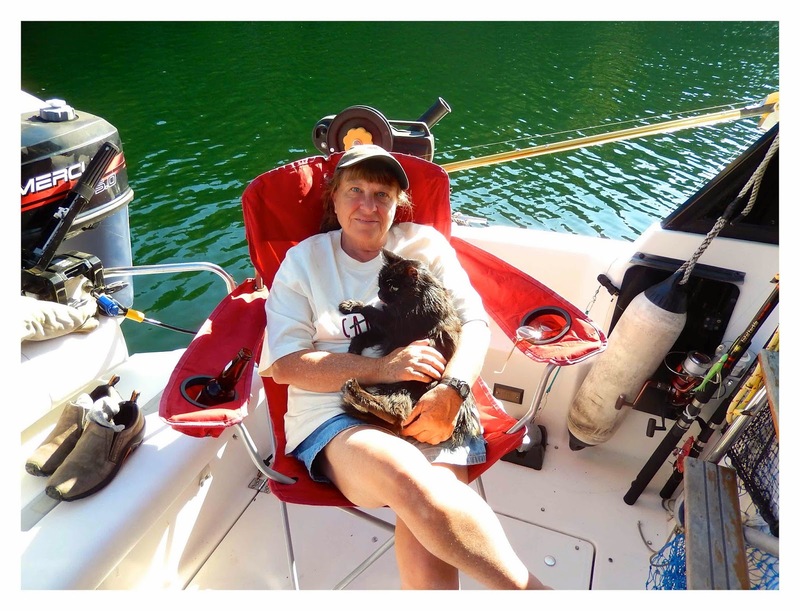 We share lots of the same interests, but once in a while I enjoy a "girl's night out,"
My special day started when I dropped Wayne off at the Shinglemill Marina to head home alone. We have a condo in Powell River on Marine Avenue. 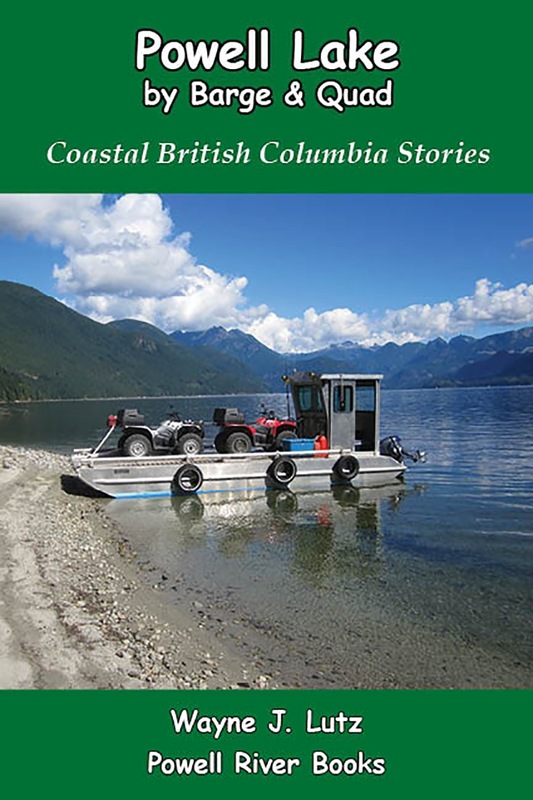 We chose the location because of its proximity to restaurants and shops, and its view of the marina and the Strait of Georgia beyond. It gives us a place to use the Internet, and a place to stay if we can't get home before dark. We prefer not to boat on the the lake at night. I started my girl's night out with a Townsite Brewing Suncoast pale ale and dinner at Coastal Cookery just down the block. 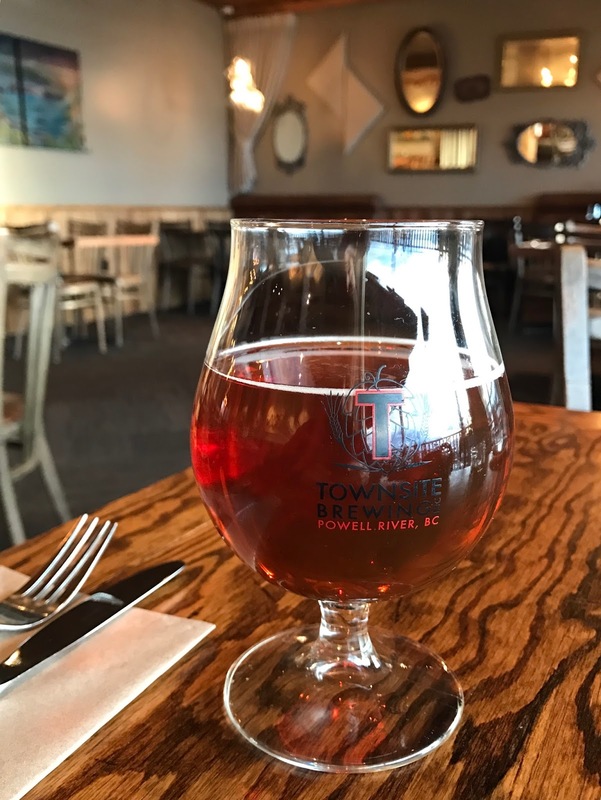 We are so lucky to have great restaurants and an excellent craft brewery here in Powell River. 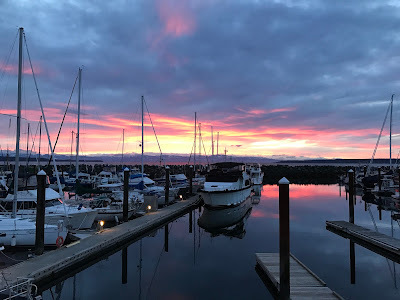 Then I took a walk down to the marina for a beautiful Powell River sunset. Some people pay lots of money to take vacations to destinations with great sunsets, and we have them every night for free. To top off my evening, I went to a sketching class with Rick Cepella sponsored by the Powell River Public Library and organized by Mark Merlino, the Adult Services Coordinator. 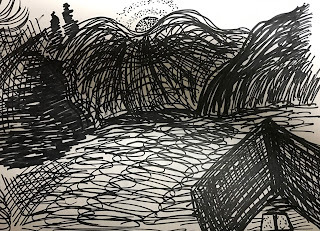 We used permanent ink pens to learn how to free up our minds and hands to create freeform sketches. Here's mine. 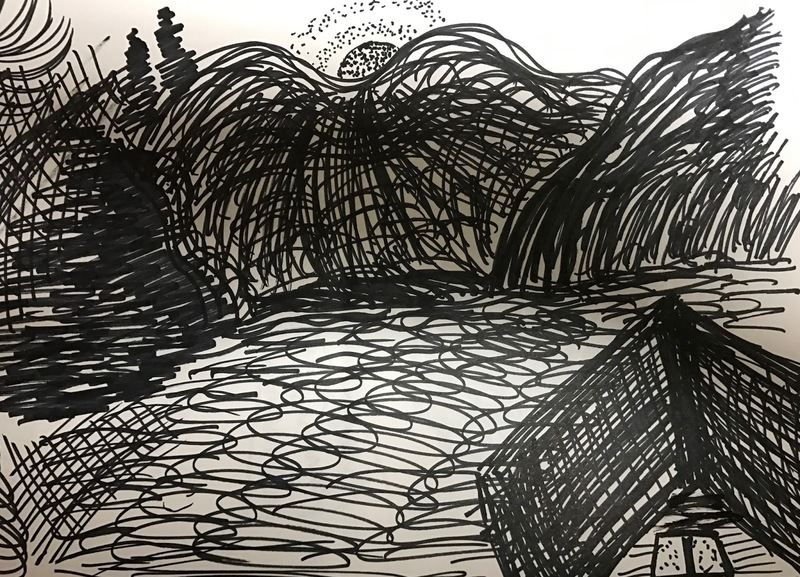 It started as lines, swirls and squiggles, but ended up as sunrise over Goat Island. I had fun and learned a lot. Wow - what a great idea - and love your art class - it is fun to just be set free to create. 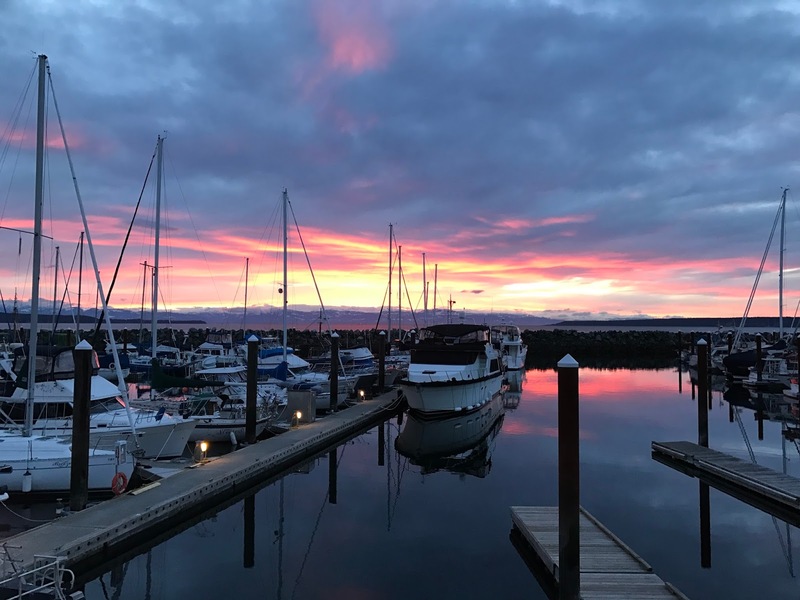 You are definitely so blessed to live in a location where the sunsets like that every evening over the marina! Great sketch too!